After a leisurely Sunday morning at The Sherry-Netherland, we strolled along Fifth Avenue looking for souvenirs. The window displays in the posh shops are fine works of art, but I'm not an elegant-boutique sort of guy. 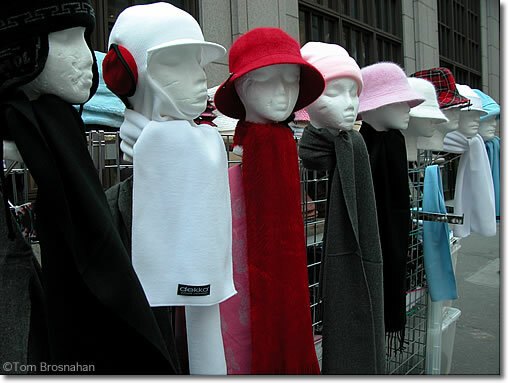 I loved this street vendor's sidewalk display of hats and scarves, though.